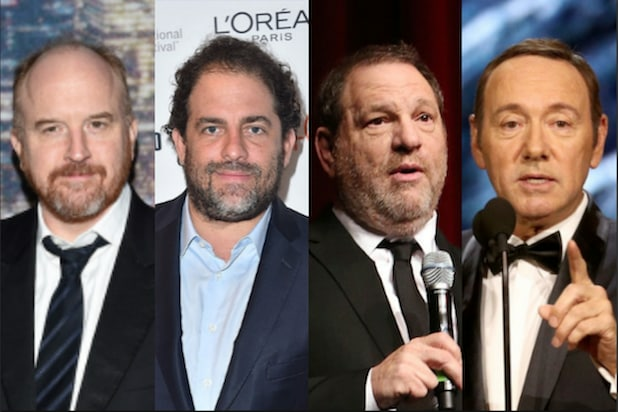 Sixty-four percent of female writers have experienced sexual harassment at least once in their careers, according to a Writers Guild of America West survey. By contrast, 11 percent of male writers reported that they have experienced harassment, while “many more” say they have witnessed such behavior. The WGAW Board of Directors summarized the survey in a letter to members, obtained Wednesday by TheWrap. “Those of you who shared the story of an incident of harassment have given us a sobering, first-person insight into the conditions that make addressing the issue both essential and urgent,” the letter reads. This email is an update on the Guild’s work to ensure a safe and fair workplace for all WGAW writers. It is also timed to be a reminder, as many writers’ rooms start up in the coming months, of the room culture we are trying to achieve. First, thank you to everyone who responded to the sexual harassment survey. The Board and staff take seriously our pledge to keep your responses confidential. Our study showed results similar to other published studies: 64% of female writers who responded reported that they had experienced sexual harassment sometime in their career; 11% of male writers had. Many more writers have witnessed harassment. Those of you who shared the story of an incident of harassment have given us a sobering, first-person insight into the conditions that make addressing the issue both essential and urgent. The survey indicates that a significant amount of the harassment writers experience occurs in the writers’ room. While the Guild is not the employer, that does not exclude us from also addressing this as a union. We are exploring the possibility of a series of member conversations about standards for a successful writing room. By proscribing sexual and other harassment among writers, these standards would enable all the writers in the room to fully participate, rather than being alienated by treatment no one should have to experience. These conversations would also address situations that arise for screenwriters, MOW writers and series writers in professional meeting settings. Please know that your survey responses are serving the vital purpose of informing and motivating our search for ways to eliminate sexual harassment and assault, and, indeed, harassment of all types, from the professional lives of writers and those who work with them. For those of you who have experienced harassment, but did not share an account, be assured that the many stories we have received represent a broad array of experiences. We want to reiterate that the Guild is ready to be your advisor and advocate if you experience harassment. As we first offered in our December email, you can call Guild representative Shelagh Wagener at 323-782-4185 if you experience harassment or have a question. We will help you figure out the legal landscape and go with you, if you want us to, should you choose to file a report. Click here for more information. Also, we have gathered a list of the offices at each studio where you can report harassment. You can find it here. Many survey respondents report that the Friends decision by the California Supreme Court is mistakenly used to justify inappropriate behavior in the workplace. The decision acknowledges that the creative environment of a writers’ room may come with crude talk. However, the decision does not permit such talk to be aimed at an individual in the room. Indeed, it acknowledges that objectionable talk may, in some circumstances, be enough to create a hostile work environment. You can read more about that here. The Guild continues to be represented on the industry’s Commission on Eliminating Sexual Harassment and Advancing Equality in the Workplace, chaired by Anita Hill. Its committees are starting to do their work and the Commission will be generating best practices and seeking to create a reporting mechanism for industrywide adoption. As we stated when we sent you the guiding principles for the guild in this area, we aim to ensure a respectful culture with zero tolerance for bullying, harassment and assault; we want a culture which enables victims to speak up in a safe way that takes their experiences seriously. Your employer should investigate such claims thoroughly and with transparency. There should be due process for alleged offenders, and proportionate consequences for guilty offenders. You can view our complete January statement of principles here. The reality is that this problem is too difficult, too long-standing, and too deeply rooted to yield a quick fix. Be assured that we are working every day to determine and implement a full array of responses that will be necessary to eradicate bullying, harassment, and assault in the writing workplace in Hollywood.